Choose this if you provide products and/or services to the apartment industry. *Franchise companies with different tax IDs must join as separate members and pay full dues individually. For any questions, please contact Jennifer Creech, our Membership & Marketing Manager, at 919-782-1165 ext. 3. Choose this if you own/operate/develop residential property and if you have 100 or more units in multifamily communities in the Triangle Area. Note: Your Management Company's entire Triangle Area portfolio must join TAA as Apartment Communities. Choose this only if your management company or independent rental owner is already a member. If they're not, then have them sign up first - before signing up your community. Note: Your management company's entire Triangle Area portfolio must join TAA. Choose this if you own/operate/develop residential property and if you have less than 100 total units in the Triangle Area (Multifamily and/or Single Family). Choose this if you own/operate/develop residential property, if you have 100 or more total units in the Triangle Area, and your properties are a combination of multifamily, duplex/triplex, single family, and/or manned & unmanned. 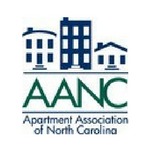 Note: All Manned Communities must join TAA as Apartment Communities.